PACI acts as the producer and can quite possibly provide any specialty product desired. We can provide from one to several thousands of acres of product with one contact. PACI has experienced, dedicated, knowledgeable producers and employees. PACI has been working to shape the future for our members for over 20 years. Aggressive, focused, and future-oriented actions. Constant interaction with our members keeps their needs at our forefront. Our members have access to a variety of techniques, tools, and technology. Progressive, profitable, mutually-beneficial partnership. Today’s agri-business climate demands it … and PACI delivers it. Dedication to our partnerships helps everyone win. The partnership between PACI and its suppliers creates outstanding opportunities for both groups. Opportunities to try new technologies, share critical information, and learn from real-world conditions. In 2014, PACI members founded Premium Ag Grains as a for profit company to market grain for the group as one entity. Premium Ag Grains LLC gives PACI members the benefit of offering basis, fees, and timing opportunities to market their grain. PACI members rely on each other, office staff, and industry professionals to keep them on the front line of emerging technologies. Educational events throughout the year. 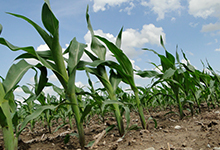 Precision farming techniques, state-of-the-art technology, and proven management methods are hot topics throughout the year for PACI members. help you do what’s right for the environment. Everything we do is meant to achieve one or more (or all) of those goals. That means when we recommend a particular soil technique, some new planting equipment, or a piece of technology, you won’t have to worry. For us, it’s not about special ties with a manufacturer or the size of our consulting check. It’s about helping you manage and grow your farm to maximize success. For smart strategies, straight talk and great results, trust PASI.